NYX just opened their flagship stand alone store in Pacific Fair, Gold Cost, and I was lucky enough to be invited to the grand opening. 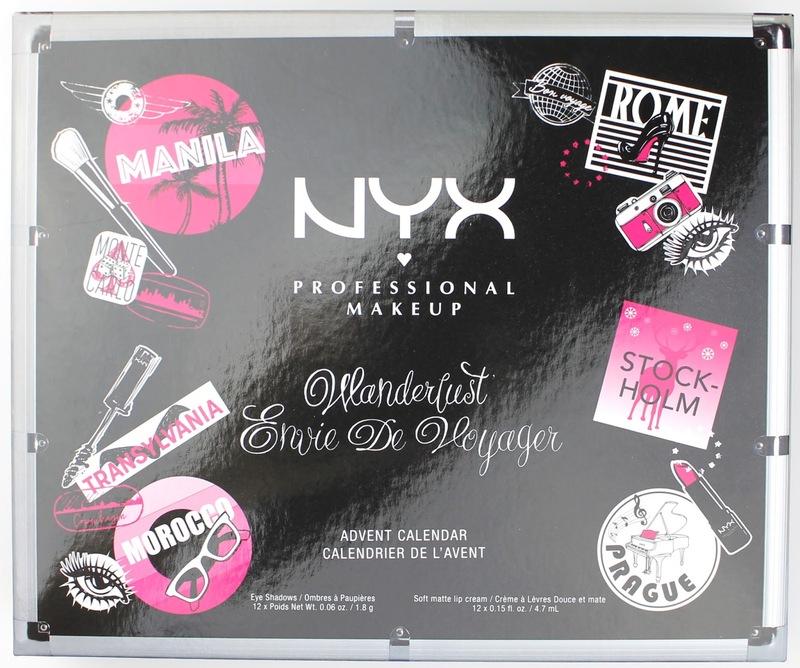 I can't even believe that Queensland was the first to get a NYX Australia store, especially because we are always the last east coast state to get anything. I was really impressed with the store and the event and so happy to have attended. When we got to the store it was really exciting to see everyone lined up and the store front was even covered to keep us in suspense right up until the last minute. I always feel bad coming as a blogger and skipping the queue, truly I do! People had been camped out since 7pm the previous night which is seriously impressive. Just remember though, before you send death glares our way, that blogging is actually a job and it is hard work. I promise we don't just rock up for free stuff but I would be lying if I said I didn't love the perks when they come around. Soon enough it was time to head in and the first though I had was that it was a really pretty and well set out store. It is quite small but honestly I feel like that will only be a problem for really busy events like today. As for the product selection, it was more or less the same as Priceline. They had a few extra items such as brushes and a couple of palettes but for the most part it was the same. The really great thing about the new store was though that it was fully decked out and honestly it is a bit of a special shopping experience. I also hear whispers that they will be bringing in some new lines in January. I have my fingers crossed for the HD Photogenic Concealer because I need it in my life! I noticed there was a double up of the lips stand so there is definitely room for expansion with more products. How gorgeous is that Lip Bar wall of lippies? They also have a beautiful Beauty Bar right in the centre where you can have a play and try things on which I think is amazing! It really is like a boutique makeup store at a drugstore price point. What's not to love? Like I said before, it has most of the same products as Priceline so it might not warrant a special trip all the way to the Gold Coast if you live in Brisbane like me but if you are in the area, you have to check it out! Plus, a massive makeup shopping day of Mecca, Sephora and is what dreams are made of. I love coming down to the Gold Coast because Pacific Fair is just so gorgeous and has all the best stores in Queensland. Hopefully Brisbane will catch up soon. Now for the haulage! I unfortunately had a pretty tight budget considering I am going to Europe in less than a month but I couldn't resist picking up a few things that had been on my wishlist for ages. I picked up the NYX Prismatic Eye Shadow in Girl Talk ($10.95), NYX High Definition Blush in Taupe ($12.95) and NYX Micro Brow Pencil in Brunette ($16.95). I had so many great things about these products and I just had to try them out for myself. Let me know which ones you would like to see reviewed. I actually picked up the Taupe blush specifically so I could do a comparison post with my new (and much more expensive!) Kevyn Aucoin Sculpting Powder ($43.95). 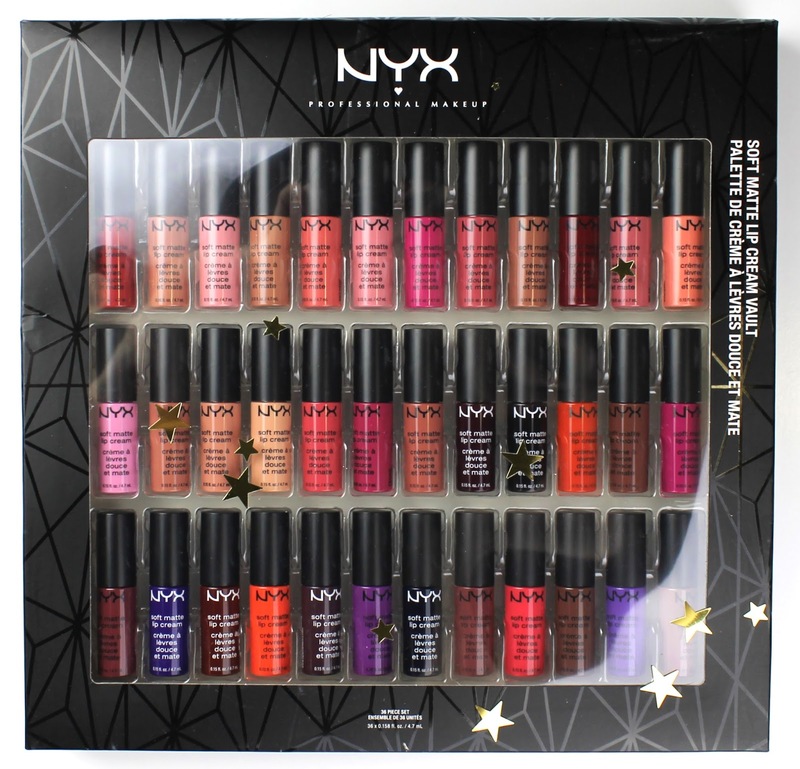 In addition to the few things I purchased myself, NYX generously gifted all of the bloggers on the day with the entire collection of holiday packs! I was simply blown away by their generosity and sooooo excited to try out all the liquid lipsticks. 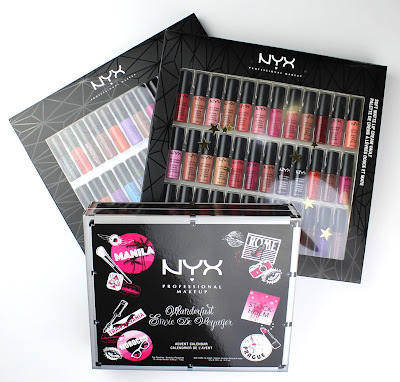 We received the Soft Matte Lip Cream Vault ($79), the Liquid Suede Vault ($79) and the Wanderlust Advent Calendar ($99). They seriously spoiled us! 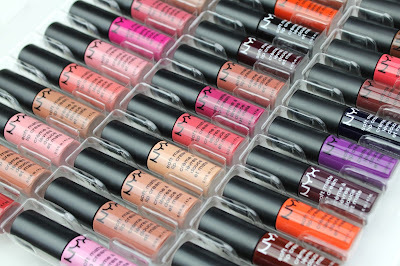 The NYX Soft Matte Lip Cream Vault ($79) includes all the shades in the Australian range the range with 14 exclusive shades and each product is 4.7 mL. it is worth noting that this includes the entire collection of 34 shades that are available in America plus the 2 exclusive shades, Bangkok and Los Angeles. The full sized Soft Matte Lip Creams retail for $12.95 each and include 8 mL of product which works out to $1.62/mL. The 36 shades in this vault come to a total of 169.2 mL. That is a total value of $273.89 which blows my mind! I can't even believe how good the value is on this pack and I would recommend running, not walking, to get your paws on this one before it sells out! 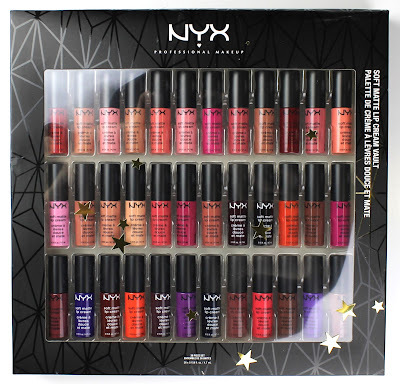 The NYX Liquid Suede Vault ($79) is similarly amazing value for money too. It includes the entire range of 12 Liquid Suede lipsticks available in Australia plus some exclusive shades for 24 shades in all, each with 1.6mL. 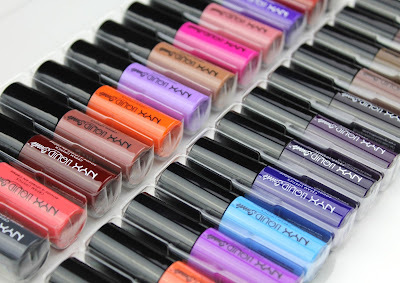 The 24 shades in this pack are alse the entire range of Liquid Suedes available in America. The full sized products retail for $14.95 and contain 4 mL, working out to $3.74/mL. The total net volume of this whole pack is 38.4mL, giving it a total value of $143.52. Boring maths aside, these are incredible value! 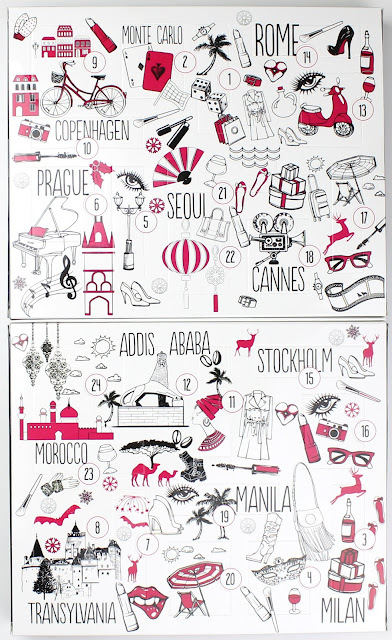 Finally, the Wanderlust Advent Calendar ($99) is totally adorable and it is easy to see why it has been popular. I don't think I have had a advent calendar since I was a little kid! This one includes 12 Mini Soft Matte Lip Creams of 4.7 mL in the shades Copenhagen, Monte Carlo, Milan, Cannes, Transylvania, Morocco, Prague, Seoul, Rome, Manila, Stockholm and Addis Ababa. There are also 12 matching exclusive eyeshadow shades of 1.8 grams each. It is really difficult to calculate a total value for this one because the shadows seem to be exclusive the the pack. However, based on the Hot Singles Eyeshadows price ($6.95 for 1.5 grams), this advent calendar has a total value of $191.38. 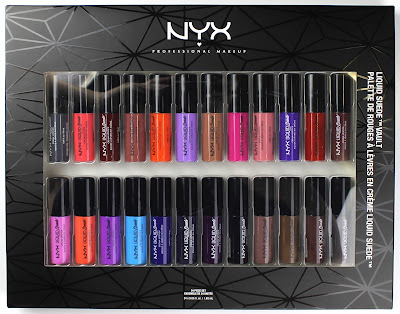 Again, incredible value and I love that this one has a mix of liquid lipsticks and eyeshadows. Long story short, I had an amazing time at the NYX Pacific Fair store launch and I was blown away by how generous they were with gifts on the day, not just for bloggers. The first 100 in line got a gift bag each valued at over $200! If you are anywhere near Pacific Fair, Gold Coast, in the near future I would highly recommend popping into this store for a really special and fun shopping experience. It's not often you can shop a cute boutique store at drugstore prices! Let me know in the comments below if you will be checking out the store soon. 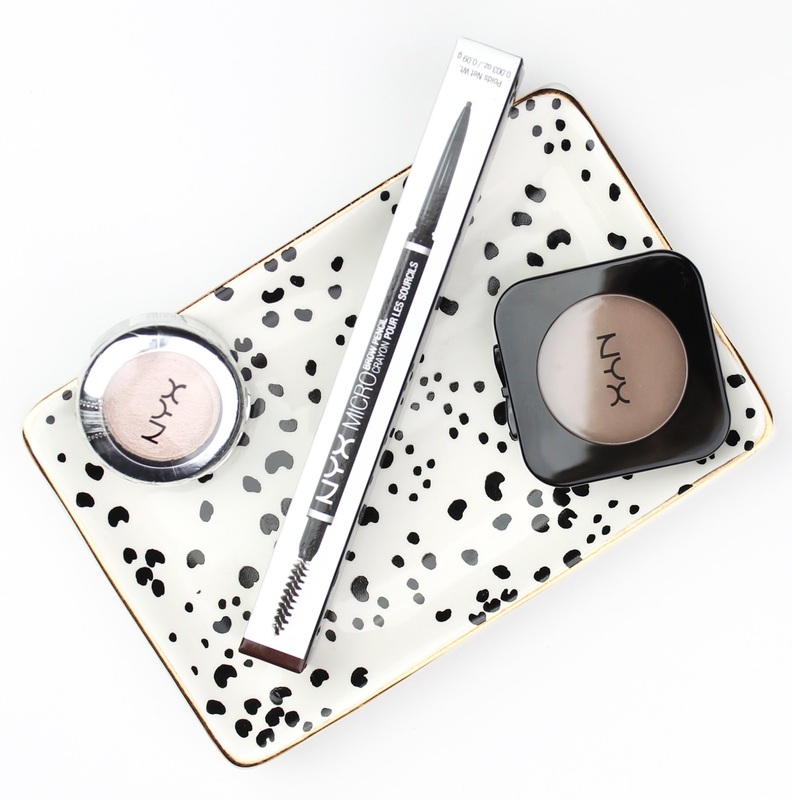 5 comments on "NYX Cosmetics Australia Pacific Fair Store Opening"
So good to see you! The store was so gorgeous! I love it! how on earth do i buy the vault!? i need the soft matte one in my life!